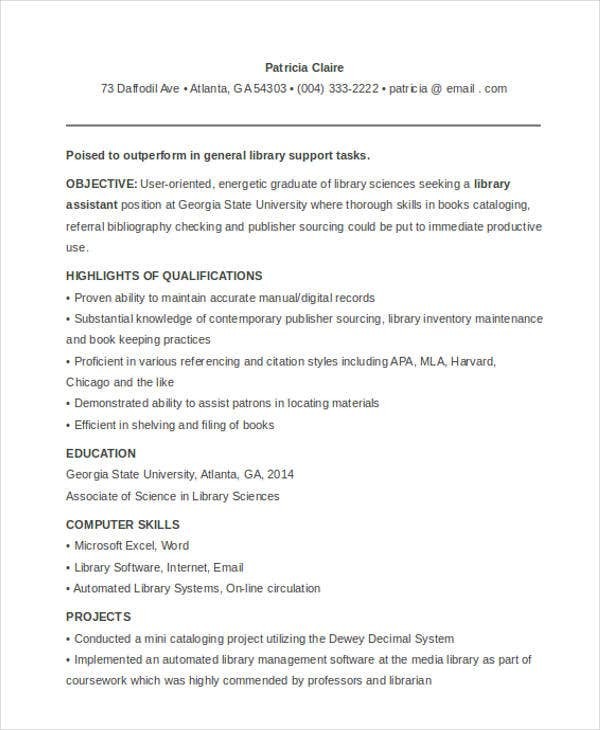 Are you planning on securing an occupation as a librarian? You may do so, but you may need to submit a resume, a cover letter, and some supporting documents first. You may be allowed to use any general resume that you can find on our website but tailor it to suit the job you are applying for. 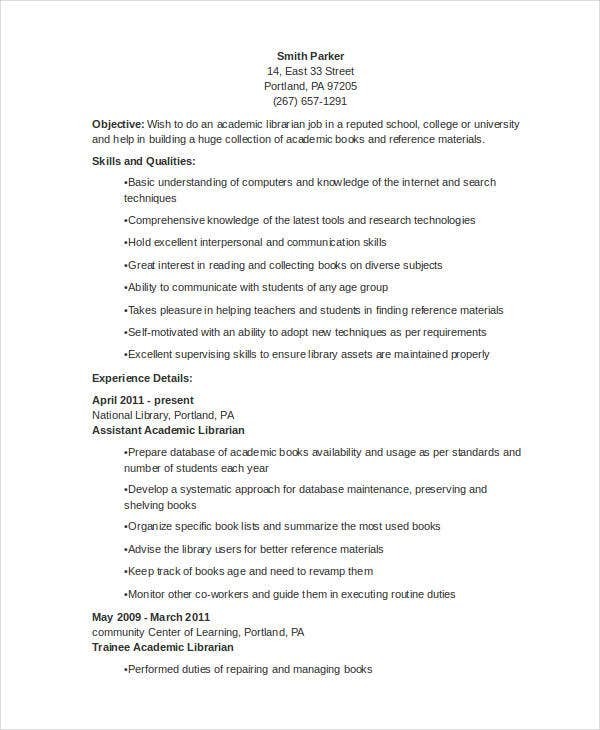 To lessen the hassle for you, you can simple use the resume examples that we are providing you on this webpage. They have already been tailored for you in advance. With our templates, you simple need to fill in the necessary details on the fields provided for you and you’re all set. Go ahead and check out what’s in store for you. 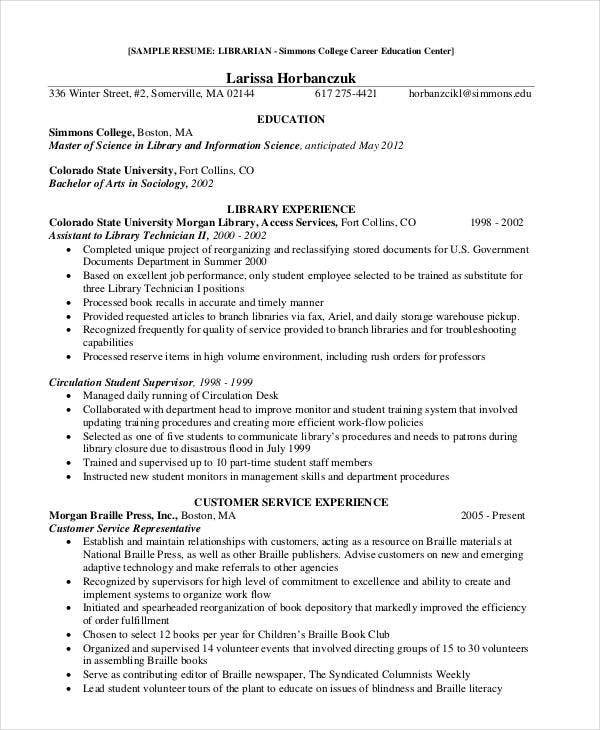 How to Write an Effective Librarian Resume? Personal Information – Write down only the necessary information about yourself, such as your full name, complete home or mailing address, phone number (home and/or mobile), and email address. 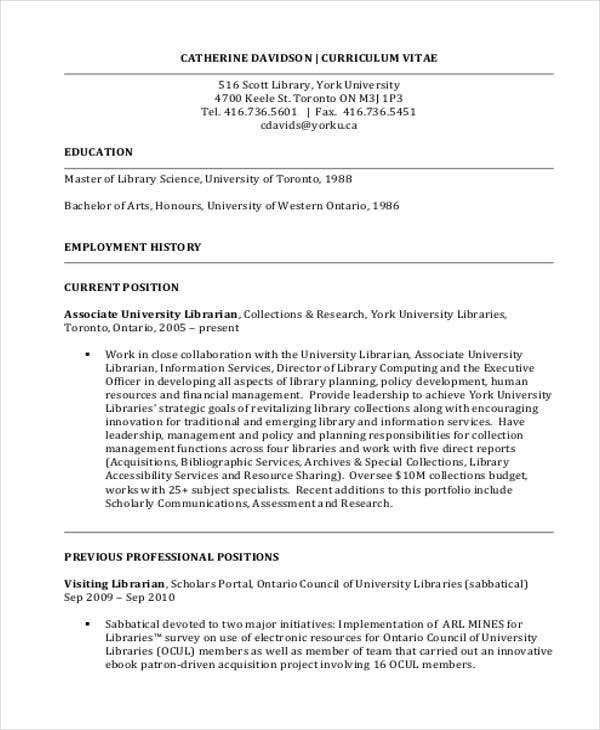 Career Profile – In two to three sentences, briefly explain your experience as a librarian including your years of practice and your specializations. 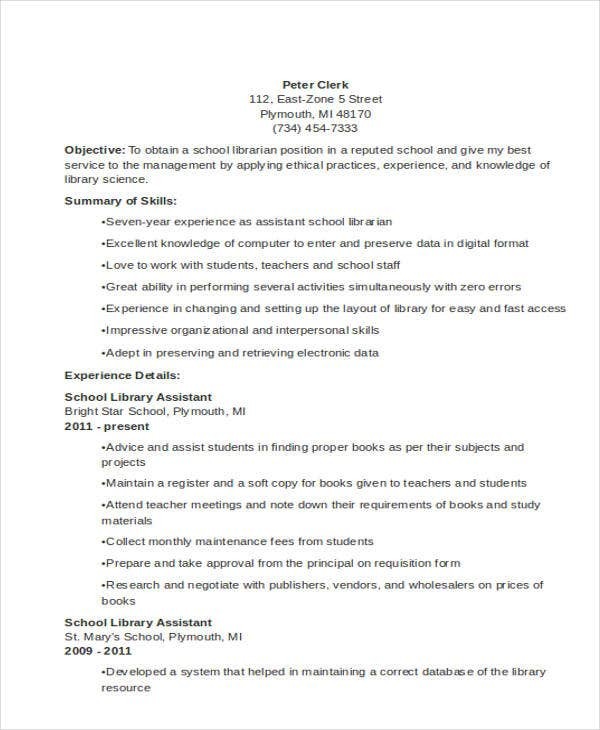 You may also mention a few of your best skills being a librarian. 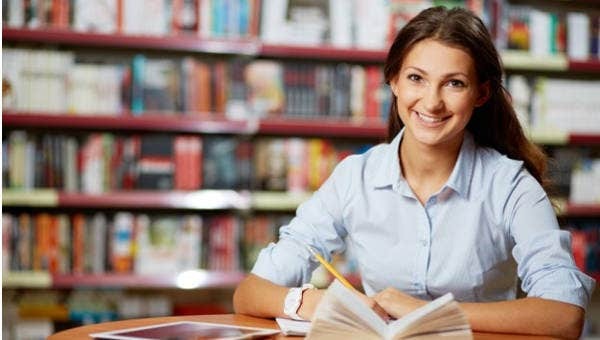 Experience and Achievements – A more thorough explanation of your experience in working as a librarian. Include here the location of practice, your specific designation, the years covered, and the achievements and contributions you have made in those particular institutions. Educational Background – Mention only your college background and other related post-graduate courses, if applicable. 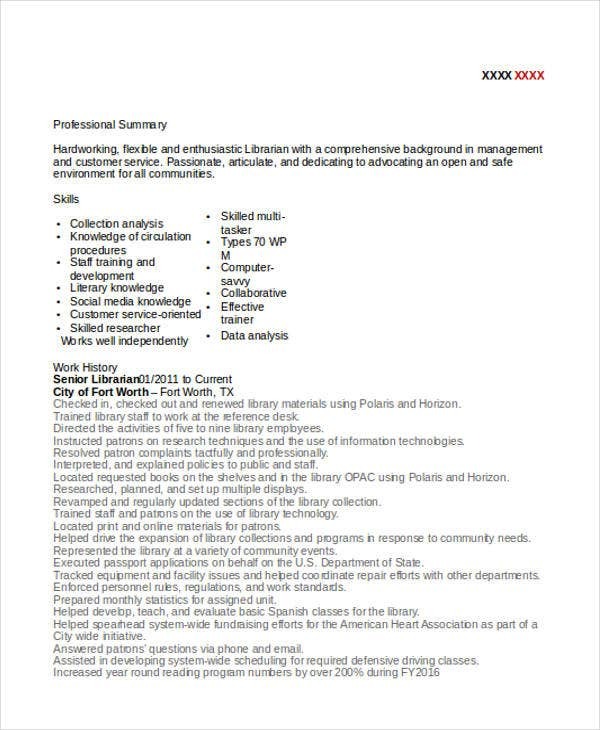 List of Skills – List down only those relevant skills that are useful to you as a librarian, such as computer literacy, teaching skills, and communication skills. 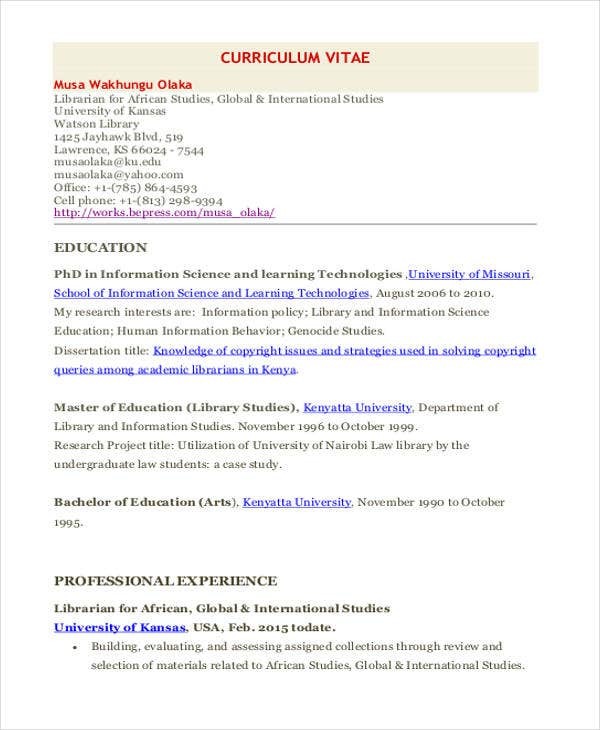 If you are looking for more Librarian Resume Templates, you may find some in our section on Professional Resume Templates. 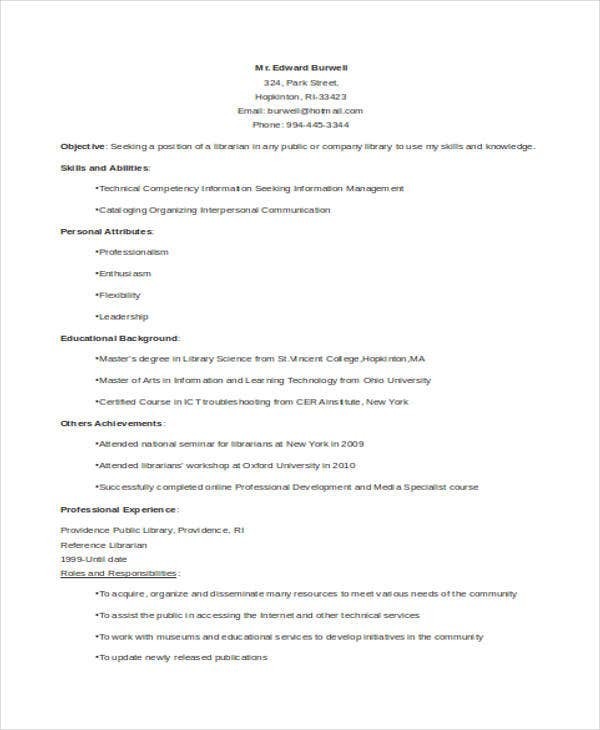 If you are looking for Teacher Resume Templates instead, click on that link or you can proceed here in our collection of Basic Resume Template. What Are the Traits and Qualities that a Librarian Should Have? 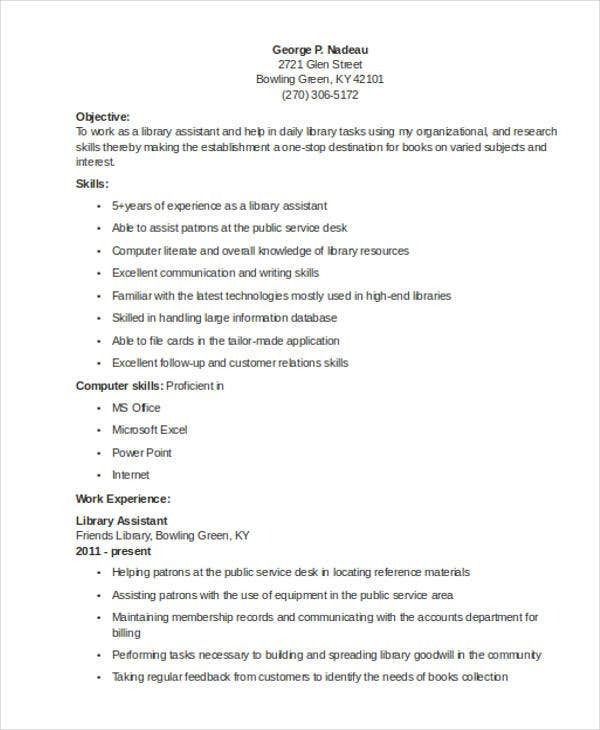 A librarian should be proficient in the use of computers and computer programs. They should be organized especially in the filing of information and other data within the library. Aside from being organized, they should be quick in searching the database and catalogs when looking for information. A good librarian should be able to communicate well with guests and other library staff. Lastly, they should have a passion in reading and have a vast knowledge of books. 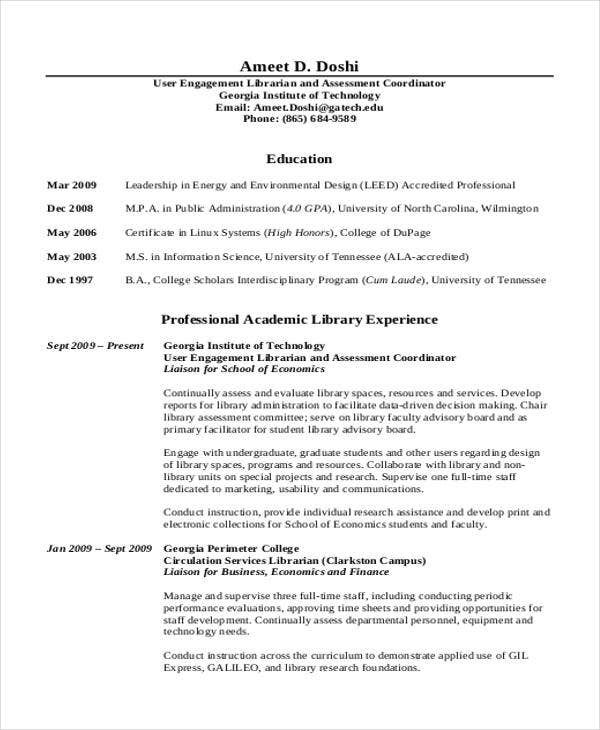 If you want to learn more about Resume Objectives, you might also want to check out our collection of Academic Resume Templates for more information.